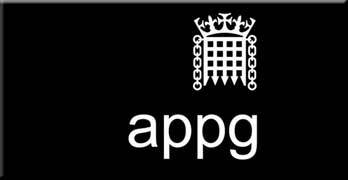 Ground rents should simply be banned; commonhold introduced and made compulsory; developers should be summoned for ‘Philip Green’ shaming by select committees; and rip-off ‘fleasehold’ permission fees should be ended. 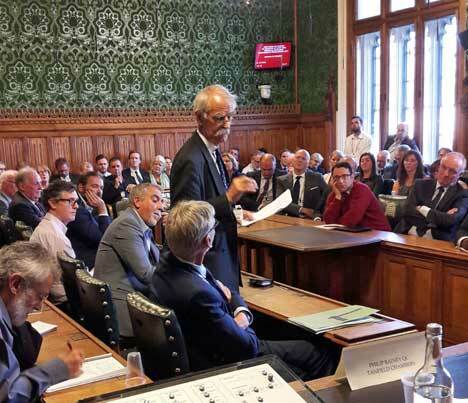 These were issues discussed at a standing-room only meeting of All Party Parliamentary Group on leasehold and commonhold on Monday, that attracted more than 100 attendees. 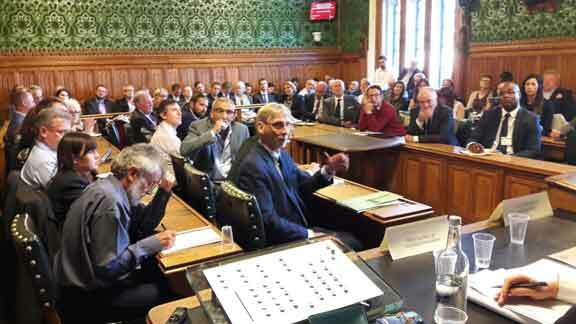 These included more than a dozen MPs and peers and housing minister Alok Sharma. Mr Sharma, who is new to his post, was representing his boss Sajid Javid, the Communities Secretary, whose senior policy advisors were present. Mr Sharma’s predecessor Gavin Barwell, now chief of staff at Number 10, and Mr Javid are seen as the two figures driving the government’s reforms of leasehold. Both Justin Madders, Labour MP for Ellesmere Port and Neston, and Sir Peter Bottomley, Conservative MP for Worthing West, urged the Communities Select Committee to summon developers and freehold owners to explain their practices. Sir Peter said the solution to freehold game-players holding on to lucrative “consent fee” incomes even on freehold estates – which campaigners are dubbing “fleasehold” – is to give them “Philip Green treatment” by MPs. 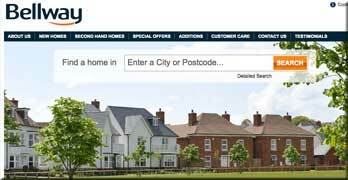 Joanne Darbyshire, a Taylor Wimpey leasehold house owner and member of the Facebook group National Leasehold Campaign, explained that freehold speculators were still trying to hold on to permissions fees while feigning to sort out the doubling ground rent scandal. So, while the leases might be varied from doubling ground rents to RPI, huge fees on subletting and home improvements would remain to the anonymous speculators who own the management companies of the sites. The fact that these games are still being played at this stage in the leasehold houses scandal shows the utter futility of expecting self-regulation – one of the lobbying strategies presently being deployed to government by freehold speculators – would have any value at all. Civil servant Rhys Bollen, of the New South Wales Government, said exporting Australia’s strata title version of commonhold was one of his country’s great exports. It would be simpler than leasehold, meaning one ownership structure nationwide as opposed to thousands of different leases, and would defend homeowners. Philip Rainey QC told the meeting that commonhold would never work until both the reversionary values of leases and ground rents were ended. “Not only is it a good thing: it is essential that these elements of leasehold are removed,” he said. Alok Sharma said he was too new to the job to contribute and was there to learn, but he did question why houses are owned leasehold and not owned freehold. “The only thing the present leasehold law is good for is for lawyers like me to make money out of it. 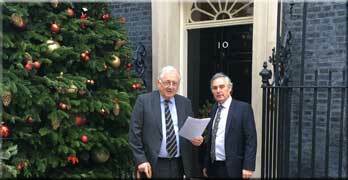 Two MPs called for the DCLG Select Committee to call in developers and housebuilders. 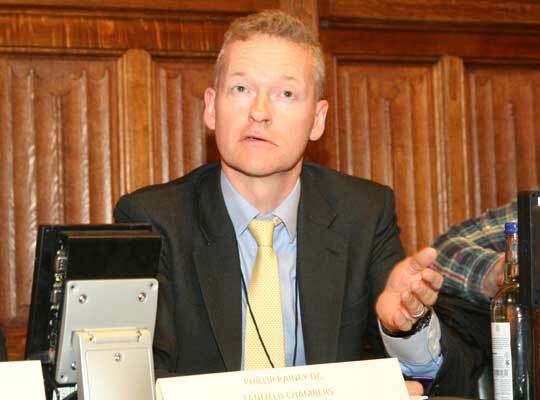 Justin Madders MP has been looking into the ownership structures of the freehold speculators, which so often leads to nominee directors and structures based offshore. “For me transparency goes hand in hand with accountability and if you don’t know who actually owns these freeholds that is a legitimate concern. He also turned his attention to conveyancing solicitors. 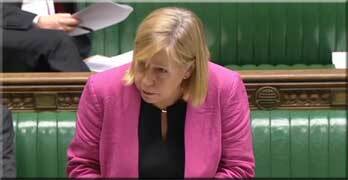 “In my constituency, 92% used the developer recommended solicitors and said they have not been fully informed about the ground rent terms or indeed the implications of what they had purchased. 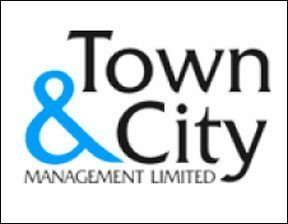 “Some of the developers were insisting on a 28-day turnaround on contract, and only with their own recommended solicitors would the buyers be able to comply with that. “There are a series of questions that need to be answered here. “Was too much pressure put on buyers by sales staff? Were solicitors fully informed, and what were they telling clients? Were the clients getting the full picture? What is the exposure of the lenders? Rhys Bollen, of the New South Wales government, explained that strata title – commonhold – is 50 years old in Australia. “It is one of our exports and there are a number of countries around the world that are now using strata for property tenure. 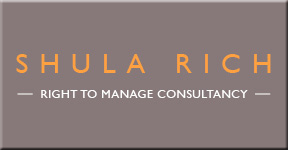 “Strata title is one of the most common forms of ownership for apartments in Australia, with 700,000 propeties. 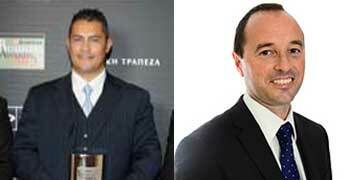 Strata title properties sell at a premium compared with the leasehold ones that remain in the country. “You’ll never get commonhold to work, you will never get it to have traction, as long as there is a very good reason for developers not to create commonhold. “There are obvious reasons why developers do not develop commonhold. 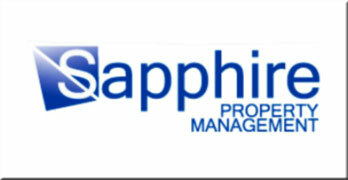 “First are the ground rents [in leasehold], which they can reserve as an extra income. If you are developer, why would you build a commonhold unit? “The second thing is reversion. If you have a lease, no matter how long, there is a little bit of reversionary value. Again you have another potentially saleable asset. “Not reasonable ground rents. Ban them utterly. And if leasehold is allowed it should be not for not less than 999 years. “That would level up the playing field, but will you get commonhold to take hold as a result? “People don’t like things that are new, including homebuyers, so you would still need to tilt the playing field at least initially in favour of commonhold. “One way of doing it, which the Treasury would hate is to introduce more favourable rate of SDLT (stamp duty Land tax) on commonhold units. “The treasury might lose a little money, but developers would be tempted to adopt commonhold as a competitive advantage. “But none of this would be sufficient on its own, so the dreaded compulsion is necessary. “To get commonhold to work it should be compulsory for new developments at any rate. “Arguably you could pilot it in certain geographic areas. Local solicitors will be trained up in it, and the land registry staff will also become informed. Mr Rainey pointed out that current attractiveness of residential freeholds was down to quantative easing, “which is causing an inflation in all asset prices. “That causes low capitalisation rates which causes the capital values of these ground rent income streams to rise. 15-20 years ago ground rents – doubling clauses or not – just weren’t worth that much. 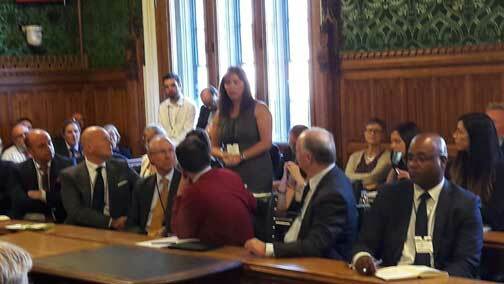 Jolyon Harrison, CEO of Gleeson Homes, told the APPG that his company did not build leasehold houses nor did he believe that they were necessary. Gleeson Homes builds in areas of social deprivation – “where people in this meeting would not want to live” – primarily in the north. “I joined Gleeson in 1976 and in all that time I’ve never seen the point of leasehold. Asked why some developers argue that they cannot build at all without the ground rent income to sell on, Mr Harrison was dismissive. “One might think that the only thing the present law is good for is for lawyers like me to make money out of it. “The case for commonhold intellectually has always seemed to me to be absolutely overwhelming. But sadly there are more books about commonhold, including my own, than there are commonhold sites. “But I don’t think I have ever met someone who has looked me in the eye and said ‘I think commonhold is a rubbish idea’, even if they might be sceptical about how it would work. “It is a much simpler system than the one that we currently have. It is wedded to the idea of conciliation and arbitration and ways of resolving disputes. “Why has it been a flop? I don’t think the reason has anything to do with deficiencies in the current legislation. “It is because developers don’t want to use it. “You might say, who can blame them? 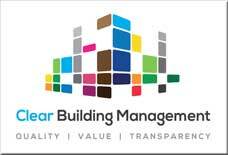 They’ve got their tried and tested system of freehold and leasehold. So why give up an additional return on their investment after selling a block of flats by selling the freehold to investors at significant ground rents? “That would be lost with commonhold. This is the single most important reason why developers have been far from keen on it. “I cannot remember government getting behind commonhold back in 2002. Ms Darbyshire was scornful of the attempts by some developers and ground rent speculators to vary doubling leases to ones linked to RPI. “Once you actually study the details, you see that the permission fees that exist in our leases continue. 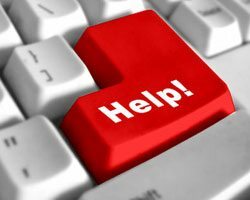 So: £100 to get any kind of response from on any issue from the management company; hundreds of pounds to change your mortgage lender; thousands of pounds to get an extension or conservatory consent. “These things continue yet the property is termed freehold. “We find out that leasehold house owners who are going through enfranchisement find that the solicitors acting for the developers or freehold owners are refusing to take out these permission fees. “So effectively, we’re finding that by going through a costly enfranchisement process all we’re doing is paying the ground rent in advance. 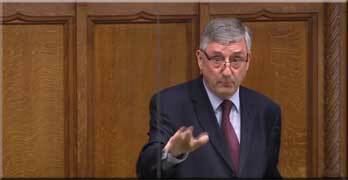 “I find it abhorrent that TW is not prepared to disclose how many leasehold houses and flats are involved, which it must know because it set up the ground rent terms. “On my estate, there are RPI ground rents. But these houses’ freeholds were sold on in the same way as mine. And they are still looking at many thousands of pounds more to buy out the freeholds than would have been the case in the first place. Ian Fletcher, the residential property policy director at the British Property Federation, said that developers would need incentives to introduce commonhold. “Lack of implementation of commonhold must look beyond just tweaking the legislation,” he said. 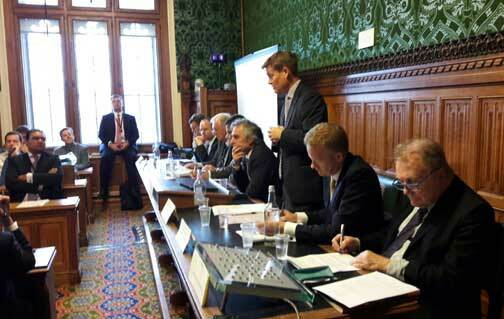 He reminded the audience that reform of leasehold has a long history. Reform featured in the manifestos of all the main parties in the 1987, 1992, 1997 and 2001 elections. All stem from a 1987 Law Commission report. But it will need care to get commonhold right. He cited the Kings Cross site where investors are piling in billions of pounds over a number of decades. What nonsense is this! 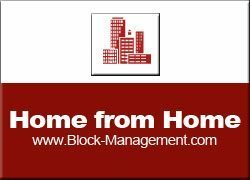 The most straightforward solution, for starters, is simply to legislate against any new leaseholds. Simple. Developers would continue to build … it’s what they do. They would just have the potential for an immoral income-stream stamped on. 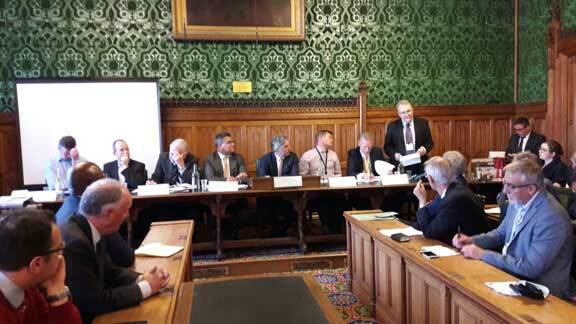 And congratulations to all involved for arranging such a well-attended APPG meeting. Great progress for our campaign. Indeed Susan, I was waiting for someone with a vested interest to make a contribution, and along comes Ian Fletcher. 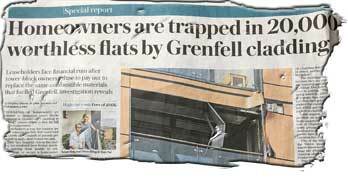 I will keep on saying this until the cows come home, leasehold is morally criminal and all those who engage in leasehold – developers, builders, freeholders, solicitors, surveyors, and any other profession involved in this scam – are scum. There is only one solution to leasehold, ABOLITION and with a retrospective element. Ian Fletcher, incentives? Absolutely no comment. 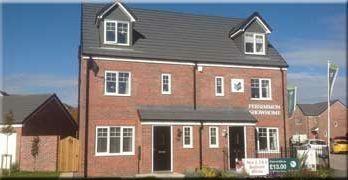 For far too long Developers have been allowed to bring in Leasehold Houses. When one looks in to what happened pre 2010, these houses were only sold Freehoold. Abolish Leasehold in both Houses & Flats. Perhaps a way forward for recovery of any sums of money could be started by a swift boat to Panama or to the BVI’s. Bottom line how much has been stashed in these off shore lands? At least by raiding those accounts would allow the coffers to be refilled. 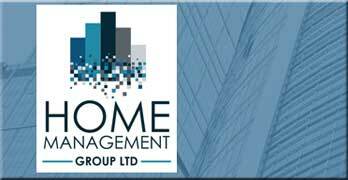 Leasehold is a scam today & deserves to be banned providing someone has the balls to act & head towards the criminal law route using the same spurrious accounting methods, as have these same Developers and Managing Agents. used. 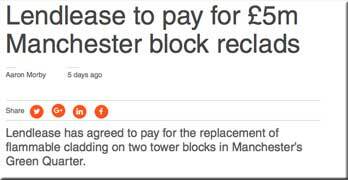 Ban new leaseholds altogether? I wonder about the ‘exceptions’ listed in the consultation survey, e.g. 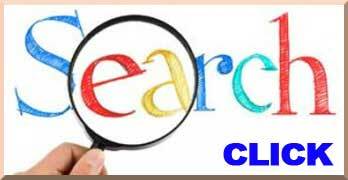 local authorities, universities, the National Trust. Can we trust anyone with leasehold now? Are local authorities really under democratic or any other effective control, nowadays? Not in my experience. And I would like us to stop allowing the Local Government Ombudsman to refuse investigation, just because a case involves a lease, where the complaint in essence is one of fraudulent behaviour (misrepresenting fact and law), rather than disputing the lease itself. (I was enforcing mine, not disputing it!). To those pleading for more regulation: I would say that our local authorities and existing so-called regulators cannot in my experience be trusted even to CONSIDER genuine serious complaints, let alone investigate them or prosecute offenders (that last bit really would be far-fetched!). Who will take THEM to task, in an age when our local newspapers tend to be full of official press releases and ‘happy news’, with no proper investigative journalism? I totally agree with what you have written those organisations who claim to help can not & do not. The only angle here that appears to be open is down the criminal law route as to accounting. The acting Sols are in it up to their necks insofar that in many cases they have failed to represent thier client (the buyer) and cunningly escape to another part of either the Council or legal practice, in what appears as musical jobs, at the behest of another party ?. Too many Developers use ‘in-house’, too amny at local authorities remain in the same job and are often non-disclosed to general public. Overtime this has created a Wild West with a predefined mine field of their creation. The next run will be on the Proabet Office, as a lot of those parties have no doubt made Wills and yes it would be interesting to see whether or not the Properties in question are infact owned by the Deceased. It is notable that annuities tend to run in increments of 10 Yrs, is too far from the truth that the Tax & Inheritance laws are linked to Ground Rents & RPI? Add in to this mix that there is no regulation of Commercial Mortgages this has worked as an enabler for Mortgage Fraud. Who does actually have the 1st Charge? Then there is the difficulty of proving the Priority Charge with the creation of a new Settlement. These are old areas of law but will be an interesting crash & burn scenario once these Developers and Managing Agents pass on. “The leasehold tenure is almost unique to England and Wales. It has its roots in the feudal system and gives great powers and privileges to landowners. It is totally unsuited to the society of the twentieth – yet alone the twenty-first – century.” Hilary Armstrong, Minister, DETR, November 1998. 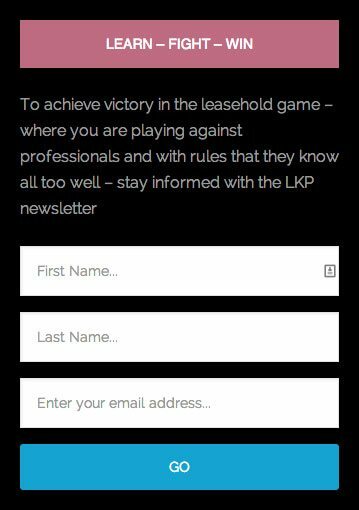 5. rationalise leaseholders’ rights and the related rules and procedures, to eliminate anomalies, unjustified inconsistencies, and loopholes. I grant you number two survived into print but with hurdles that Sir Mo couldn’t overcome (okay he wasn’t a hurdler). Name any of the others for ten points? My personal favourite in light of recent events is number four. Enforce the Reasonableness Test – ensure that Leasehold falls within the standard remit of consumer law as recognised by various EU legislation passed years ago. How, Where and why has this either been ignored and /or refuted? Enforce RTM, with a separate system for those parties who for whatever reason are barred from holding a Directorship. For those who bought a home this should be allowed at the County Ct. for home use only. Abolish the link between Annuities and Leasehold as to Probate, in that the Estate is that of the Lessee and not the Lessor. Protect the term Surveyor, as this is abused by those being glorified Project Managers and are not Structural Surveyors as to costs. Ensure that legals have been trained in Conveyancing and it’s not just about box ticking. Revert back to full & proper apprenticeships where time served counts towards the final exams and jst the last 6 Mths. Land & Property is still either the most expensive asset that can be bought or inherited. Years ago this was a well respected area of law which today falls on it’s arse. Allow a criminal element for Leaseholders for accounting errors instead of passing them off to the Lands Tribunal which only makes money for both Lawyers and Managing Agents. Force the SRA to investigate all Lawyers who have had a hand in the Leasehold farce since 1993, including those parties who have retired. The LVT was formed in 1993, and has become bastardised over time. Those parties who have worked as enablers should be brought to book and lose whatever pleasures their ill gotten gains have created. It would be interesting to see how many of the same names appear, especially when one looks at who signed off the paperwork at Companies House…. The elimination of ground rent as an income will be critical in ensuring Commonhold works. Ian Fletcher at the British Property Federation wants an incentive my ….. Has he conveniently forgotten the massive boost to record profits is largely down to HELP TO BUY which also allows these same developers extra income streams from leasehold. How do these lobbyists get away with such rubbish without being challenged. Alok Sharma says he is listening but surely he has a gut reaction to the abuses, The cynic in me thinks he has been taking advice from Grant Shapps and our foxy friend Roger Southam about political donations and favours. How about the right to continue to build… I wonder howw long it would take for Developers to change their tune if they were faced with a ban on building due to being caught out for satisfying the Delenquent Directors route for Unjust Enrichment?. Great to see progress, we now need to see the Government reaction to their consultation. This must be followed by legislation and the retrospective elimination of leasehold. .
We need equal rights for those of us in England and Wales compared to our contemporaries in Scotland and Northern Ireland. Many parties in the sector have been making money for many years, so no incentives..
Make a Government body responsible for the determination of a formulaic model for the leaseholder to buy their freehold and for the collection of the fee. Seems like the mortgage lenders are forcing the pace on the most onerous clauses, not legislation. The government would be foolish not to follow the lead in order to avoid a huge travesty in the housing market. More than likely this will be the ONLY legislation to come into affect to avoid the embarrassment. Don`t expect nothing from the Maybot, she cays lots but fails to deliver on anything. Always hit the opposition in the wallet. You’re ritght that mostly this land has been in the hands of the nobility since 1066. However in 1925 many laws were passed so as to curtail anything untoward. What we have today is the shite which arose through the ranks through the 1980’s boom & bust years. This ia what has worked as an enabler for those who have no love for history or any ancestral links to land lore/law. Too many of this new breed have created a methodology for Unjust Enrichment causing extreme Financial Hardship without scruples for Leaseholders. Following the path to the BVI is correct as is the boat ride to Panama. How much money is stashed there, therfore how about raiding those accounts and refilling the coffers starting with thiis new breed. There would not be problem or any forseeable objections from the Gentry as perhaps they see this new breed as interloping parasites too. Just a thought. 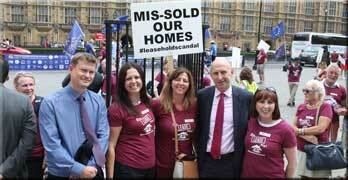 Very grateful for those fighting against Leasehold and replace it with Commonhold. It is very difficult to even get the required number to start the collective enfranchisement process. 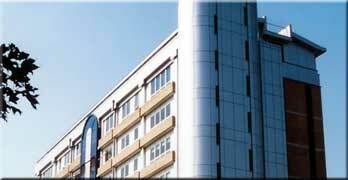 Leaseholders rather extend their lease as they envisaged it is much easier. Even to get the required RTM was difficult. Totally frustrated. After paying 35 years of mortgage and have just retired, I have to use my pension lump sum to extend my lease. Why should these Freeholders drain more money out of my hard earned money? Developers have made huge profits already, so please do not let them fleece more money from ordinary people who worked all their lives just to have a home. It is very difficult to even get the required number to start the collective enfranchisement process. 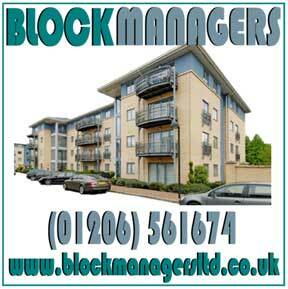 Leaseholders rather extend their lease as they envisaged it is much easier. Even to get the required number for RTM was difficult. Totally frustrated.